The German version of this soccer management game allows you to take over the responsibility for one of 108 German soccer clubs. The game models the 1998/1999 German soccer league structure down to the 3rd level. That means there are two professional leagues (1st and 2nd division) and four geographically divided amateur leagues (representing virtually a 3rd league). All club-, manager- and player names are authentic, because EA obtained an official licence for this game. Your starting point in the league structure depends on the team you chose to manage. The game offers two main working areas: team management (team tactics, player deployment, transfers, etc.) and financial management (sponsoring, stadium management, merchandising, etc.). Detailed statistics of both, players and club, are offered as a base for decisions. Optionally, most of the management areas can be taken over by the computer. This management simulation introduced a then new communications system, the so-called EAMail, which resembles normal Email messages. All important news concerning your club will arrive via this interface, and some of your management decisions will be made through it, too. A match of your team can either be viewed in 3D- or 2D mode. The first one uses a view which resembles the FIFA games of the time (i.e. 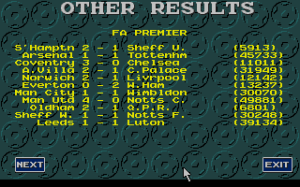 FIFA 99), while the other one offers a more schematic top-down view where players are represented by icons. In 3D-mode spoken commentary by a well known German reporter can be heard. While the match can be stopped to change tactics, etc., it can't be aborted completly. 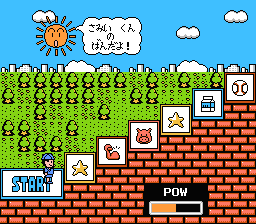 An additional feature of the game is video footage, which will be shown in certain situations.